Available to purchase at Classic Tuxedos & Suits. 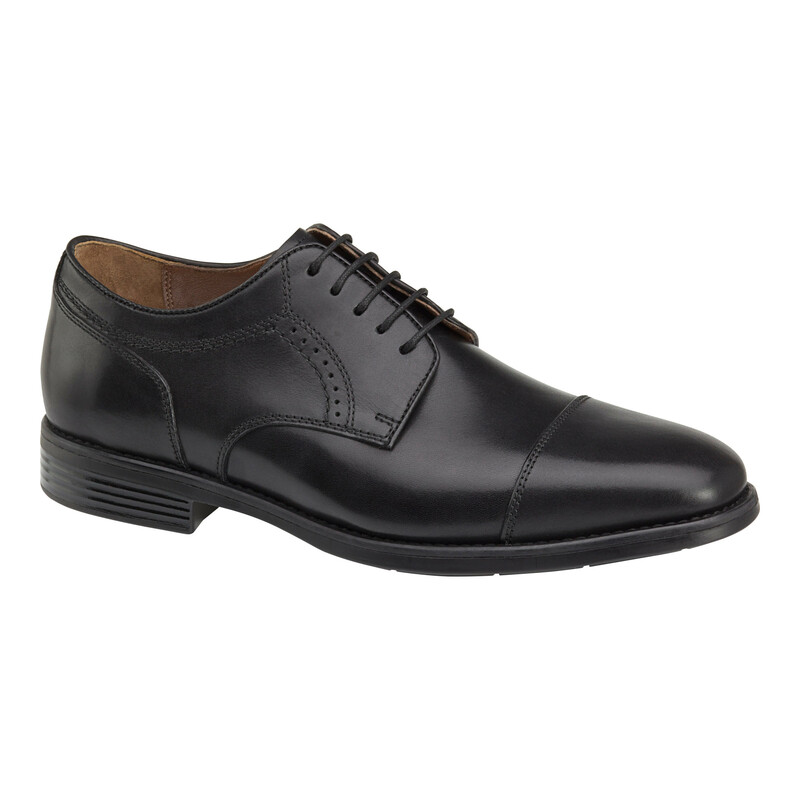 Johnston & Murphy Branning cap toe in Black. A trimmer, dressier profile built with XC4 waterproof comfort technology. Molded footbed and midsole for support. Removable memory-foam cushioned insole with sheepskin/moisture-wicking performance fabric cover.